Military action in South Ossetia, growing tensions with the United States and NATO, and Russia's relationship with the European Union demonstrate how the issue of Russian nationalism is increasingly at the heart of the international political agenda.This book considers a wide range of aspects of Russian nationalism, focussing on the Putin period. 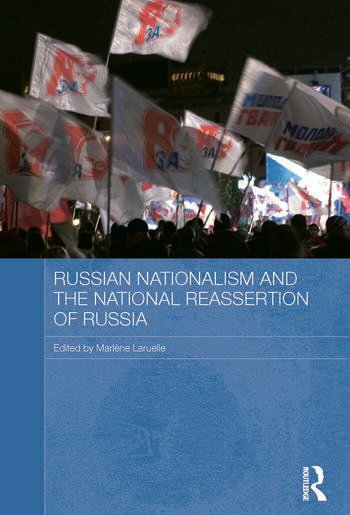 It discusses the development of Russian nationalism, including in the Soviet era, and examines how Russian nationalism grows out of – or is related to – ideology, culture, racism, religion and intellectual thinking, and demonstrates how Russian nationalism affects many aspects of Russian society, politics and foreign policy. This book examines the different socio-political phenomena which are variously defined as ‘nationalism’, ‘patriotism’ and ‘xenophobia’. As Russia reasserts itself in the world, with Russian nationalism as one of the key driving forces in this process, an understanding of Russian nationalism is essential for understanding the dynamics of contemporary international relations. Marlène Laruelle is a Senior Research Fellow in the Central Asia and Caucasus Institute of the School for Advanced International Studies, The Johns Hopkins University, USA. She has published widely, including most recently Russian Eurasianism: An Ideology of Empire.